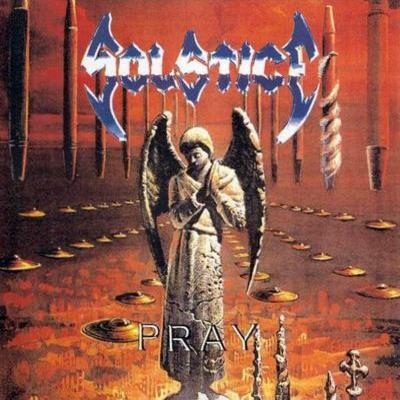 After their stunning debut Solstice returned with another masterpiece. "Pray" is probably one of the most effective and intense thrashing records of the '90s. The first album had an excellent old school sound, but compared to that "Pray" went even forward. The sound became very dirty and strong, but still enough clear to enjoy even the bass lines. 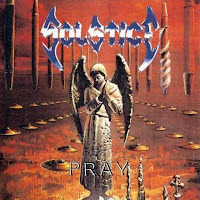 This is where the importance of the sound was revealed again, and that increased the level of aggressiveness so much, that "Pray" seems to be closer to death metal than being only on the borderline of thrash and death. The lyrics about societal problems and inner struggles turning the main impression wilder than the horror or gore based topics that are more common to find in musical extremity. It's like a more authentic way to unleash the anger that came from the everydays frustration that turns the individual dumb and forcing to drift with the tide. By it's remarkable headbanger compatibility, "Pray" could offer an alternative way of temporary relief, to break out from the forced playroles. An outstanding classic!